In Alaska, it's not uncommon for wildlife to wander onto an airport's runway. Over the years, workers have seen birds, caribou, polar bears and musk ox stray onto landing paths. That said, a lounging seal – a 200-kilogram (450-pound) seal -- is far more unusual. But that's what workers found at the airport in the nation's northernmost city on Monday. A seal estimated to weigh 450 pounds (204 kilograms) was removed from the runway at the airport at Utqiagvik (pronounced (oot-GHAR'-vik) by way of sled, KTVA reported. 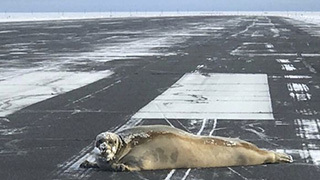 A photo and video of the bearded seal lounging on the runway at BRW in the town formerly known as Barrow was shared by Scott Babcock on Facebook. The state Department of Transportation got in on the fun by warning pilots of "low sealings" at the airport -- a pun on the "low ceiling" warning used to warn of low clouds and poor visibility. 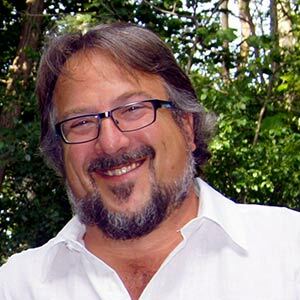 "Wildlife strikes to aircraft pose a significant safety hazard and cost the aviation industry hundreds of millions of dollars each year," Bailey said. "Birds make up over 90% of strikes in the US, while mammal strikes are rare."